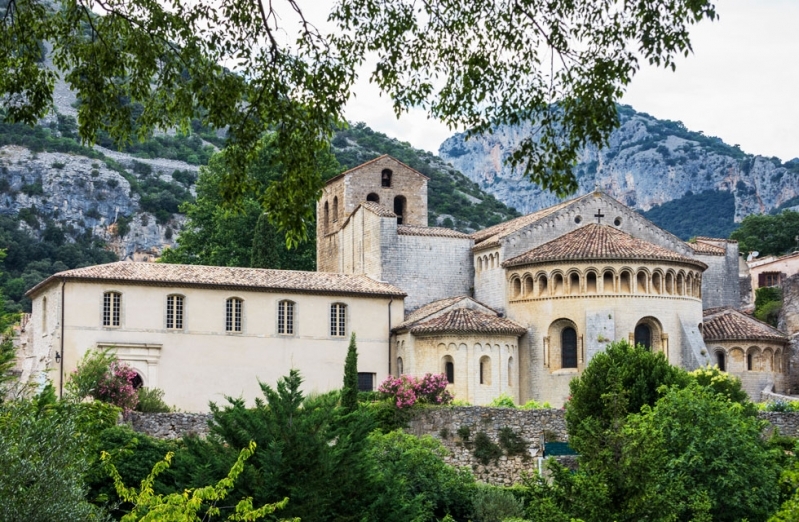 Nestled at the heart of a valley, Saint-Guilhem-le-Désert unveils behind a bend, after having crossed the Pont du Diable bridge over the Hérault. The golden stones of the Gellone abbey stand in contrast with the dazzling cliffs surrounding it. This village, listed as most beautiful village of France and World Heritage by UNESCO, is an important halt on the way to Santiago de Compostella.